The couple - who have been dating for almost a year - were seen smiling leaving a London nightclub together on Friday and insiders believe the 24-year-old dance student is his true love. A source told the Daily Star Sunday newspaper: "It's looking like Cressida could be the one. Those smiles are big clues. "Handling the attention is part of the training course to marry her Prince Charming." 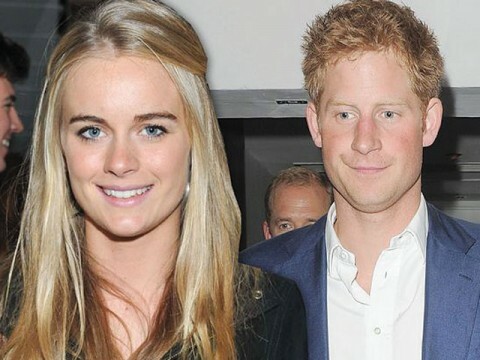 The Buckingham Palace aide also revealed the couple have been asking Harry's sister-in-law the Duchess of Cambridge for advice on coping with a relationship in the public eye. The insider added: "Harry is getting advice from Kate [Middleton], who says whatever happens just keep smiling. "This is part of the royal recruitment to see if Cressida can cope. Harry has his choice of girls and he's stuck with this one. "Being out with Harry in front of all the photographers on Friday was her biggest test so far." The British prince, who is third in line to the throne, spoke earlier in the year of his hopes of finding his perfect woman. He said: "If you find the right person and everything feels right then it takes time, especially for myself at my brother."